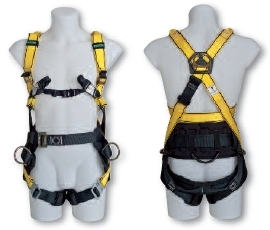 Fall Protection personal protective equipment is used by workers in many industries. It is designed and used to prevent accidents at work or to protect against consequences of accidents at work. MSA has been in the business of safety at height since 1930. Today it is at the forefront in both the supply and the range of innovative fall protection products. MSA is truly a global manufacturer of fall protection, with major manufacturing plants in North and South America, Mexico and China, complimented by distribution hubs throughout the world. Statistics prove, year after year, that lack of fall protection is a leading factor in job fatalities and injuries. The MSA Workman product line enables your company to provide optimum quality, comfortable fall arrest systems for your workers. It combines quality, comfort and value. The MSA Workman Light, single D-ring harness, provides comfortable protection, due to its lightweight components and durable webbing. 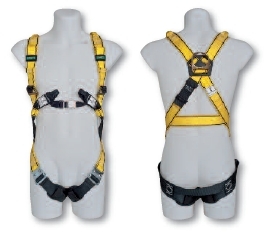 The vest-style harness fits a wide range of body types and sizes. Colourcontrasting thigh and torso straps simplify donning. The Quick-fit leg straps offer easy adjustment. The MSA Workman Premier offers the user an additional attachment point at the front, with extra adjusters on the torso for even greater adjustment. The harness also offers shoulder loops for use with the MSA Spreader Bar. The MSA Workman Premier harness is available with Quick-fit (traditional mating buckle) or bayonet style (auto lock double action unlock) leg straps. Both styles offer fast and easy connection and adjustment. Certified to EN 361, EN 1497. The MSA Workman Utility offers everything the Premier harness offers and more. An integral waist belt and pad for added comfort and hip positioning D-rings make this the perfect harness for Utility work. Certified to EN 358, EN 361, EN 1497. The MSA Workman Spreader Bar is used in conjunction with the Premier or Utility harness for raising and lowering a person during rescue. The attached web loops can be used to secure an incapacitated victim's arms when lifting or lowering. Restraint lanyards are primarily used for travel restriction (to restrain a worker from reaching a fall hazard) and work positioning (stabilizing a worker at an elevated location) applications. It connects the anchor point with the body harness and should never be used to arrest a fall. To meet all your application needs and environments, MSA Workman Restraint Lanyards are available in web and kernmantel rope. 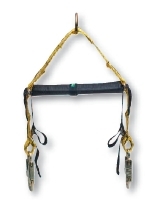 Anchorage Connectors are compatible for use with MSA fall arrest and confined space entry/retrieval components. They have a minimum breaking strength of 22.24 kN. Self-Retracting Lanyards are fast-acting fall arresters that limit free fall distance, deceleration distance and free fall forces while allowing the user freedom of movement. With its solid design and fast-acting brake mechanism, you can be confident that the MSA Workman Personal Fall Limiter (PFL) will be there for you when you need it most. It is ideal for climbing ladders or any other application where vertical mobility is needed. 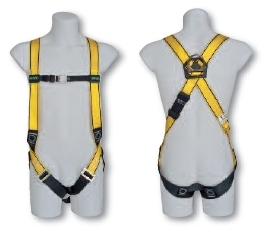 Energy-absorbing lanyards provide a means of connection between the fall arrest attachment of MSA full body harnesses and a qualified anchorage and anchorage connector. The energy absorber keeps fall arrest forces below EN limits and deceleration distance is controlled to a maximum of 175 cm. 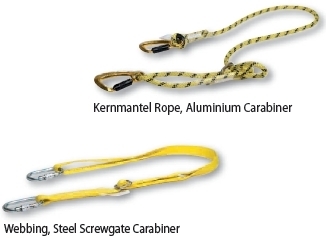 The lanyard is available in web and kernmantel rope configurations with a variety of snaphooks. 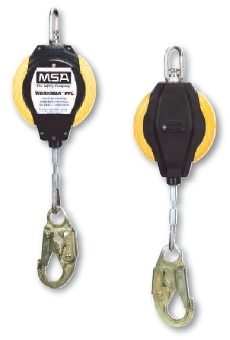 MSA Workman energy-absorbing lanyards are lightweight with a low-profile body. The energy absorber includes a clear, durable protective cover over the labels to increase service life and allow for easy inspection.